Are you planning to buy anything like clothes, shoes or another fashion accessories from Jabong, then a great offer for your. 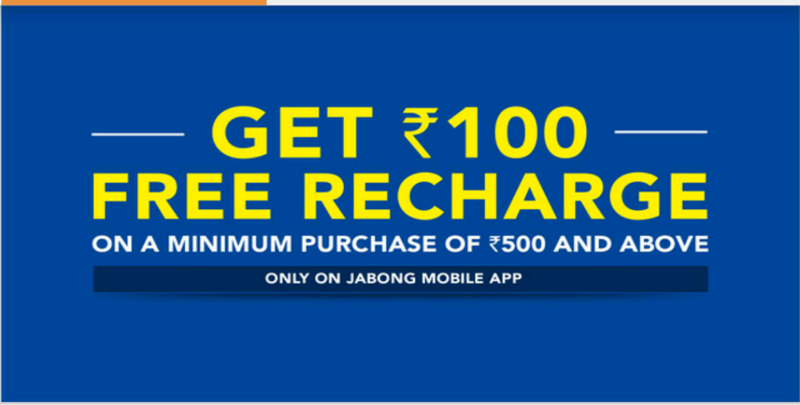 Get the 100 Rs Free Recharge from Freecharge doing shopping from Jabong mobile app with 500 Rs or more shopping. Whenever you will buy anything from Jabong app, you will avail the discount. So, what are you waiting for, just Download the Jabong app from the play store, and do shopping, get discounts and enjoy free recharge value of 100 Rs too. With the same offer, you will also get the coupon discount from your jabong discount coupon code.